Attitude & Behavior Change – MCAT Review Course | Start Free! 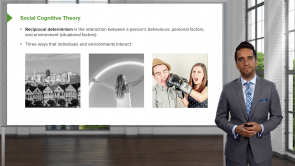 Besides Dr. Ahuja’s online video lectures, you will be able to make use of slides and related articles to give you the basis for a well-rounded understanding of this topic. Quiz questions will help you to check on your learning progress, for effective MCAT preparation.